Hi Kids! Can you feel the excitement? It’s like there’s electricity in the air. I sure hope that electrical feeling isn’t from that loose wire I saw on the tree last night. I have been able to watch the Christmas Spirit Meter get ever closer to 100%. I know with your help we can get it up high enough for Santa’s sleigh to fly. 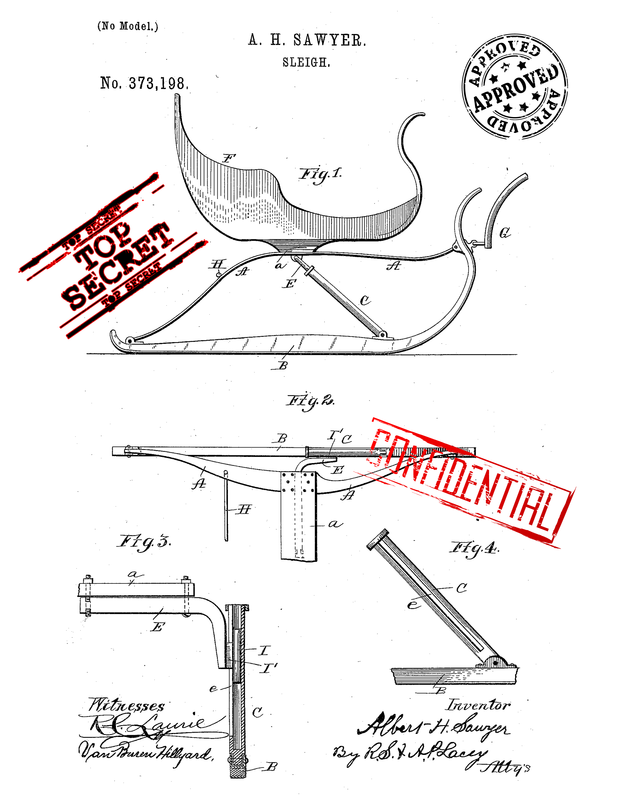 Thinking of Santa’s sleigh, I think I’ll share a story with you about the very first sleigh Santa had designed. The winning design is shown above. Santa used an old sleigh he had around the barn when Great Gram MaMa Tatiana first started working with him. That sleigh worked fine at first. But then, as the number of kids grew, and Santa’s big trip became longer and longer, it was decided that Santa needed a new sleigh. A sleigh that could handle the long trip without breaking down. Santa also had to be able to spend the long bumpy ride comfortably with all the toys. Santa decided that instead of taking his time to try to design a sleigh, which he had never done, he would ask for designs from noteworthy designers. Santa told each of them that the sleigh had to be tough. It had to be comfortable and easy to handle while having a large capacity to carry things. We know he meant toys, but he didn’t tell anyone else that at the time. The sleigh had to be able to handle any sort of terrain, from sandy beach houses with thatched roofs to ice covered igloos. He didn’t tell anyone how the sleigh would be pulled. He was keeping that he was working with reindeer a secret. He also didn’t tell anyone the sleigh would be flying, because no one had seen a flying sleigh before. Axel was one of the first designers Santa spoke with. Santa and Axel were friends from the North Pole Bike Club (NPBC), which Axel was in charge of then. Few people outside the North Pole know, but Santa loves to ride his bike in the summer. Bike riding is one of the activities Santa does to stay in shape so he can make his big trip. 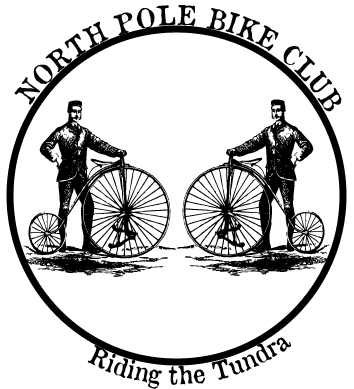 The NPBC’s motto is “Riding the Tundra since before Time.” Axel’s design really didn’t pay any attention to Santa’s request or incorporate any of Santa’s needs. But, Axel wanted to keep riding his bike during the long, cold winter, through the snow and over the ice. His design is basically a bike with spikes on the rear tire and runners to glide over the snow. Santa reviewed Axel’s design an laughed. Because Axel and Santa were friends, Santa decided to play a joke on Axel. The following Christmas Eve during Santa’s big trip, Santa left a big lump of coal in Axel’s stocking hanging by the fire to dry. Santa knew Axel would hate for his clean stocking to become dirty again, forcing Axel to wash all the coal dust out of it. Ever since that night, Santa leaves a lump or two of coal in naughty kid’s stocking to let them know they were particularly naughty that year. I sure hope none of you have been naughty. Santa also spoke with John. John was an interesting character back then. He really wanted a sleigh that could go anywhere, anytime. He was really an adventurer at heart. John thought Santa’s request was the perfect opportunity to finally design his all-terrain sleigh. John added not only runners to the sleigh to glide over snow and ice, but wheels too for on hard surfaces. After a few test trials it was decided that, although the design was interesting, the wheels would get full of snow and the runners would get ruined in gravel. So, although a good attempt, John’s design was not selected. Lots of other designs were also submitted. William designed a super-fast bob sled. Although this sled would have helped Santa go even faster, it was neither very comfortable not could it carry many toys. William went on to race his design against all the locals and eventually started a new sport. 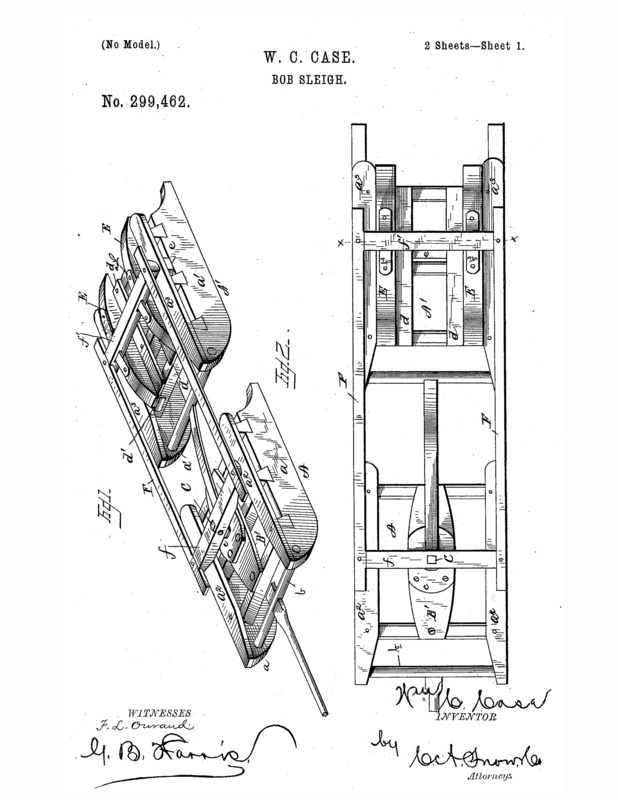 Louis designed a sleigh with a cargo area the could pivot on pins and dump cargo out. 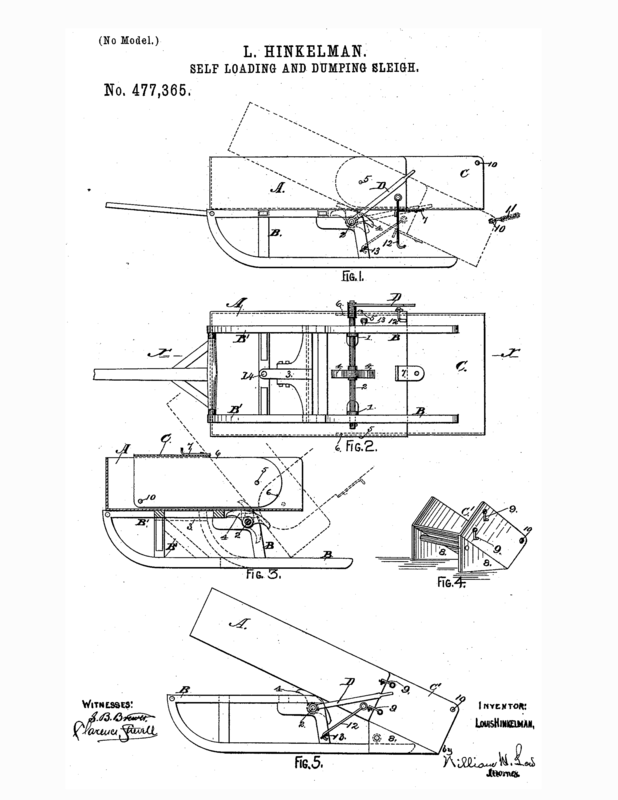 While interesting, Santa’s cargo really wasn’t that heavy, so that design was also not selected. 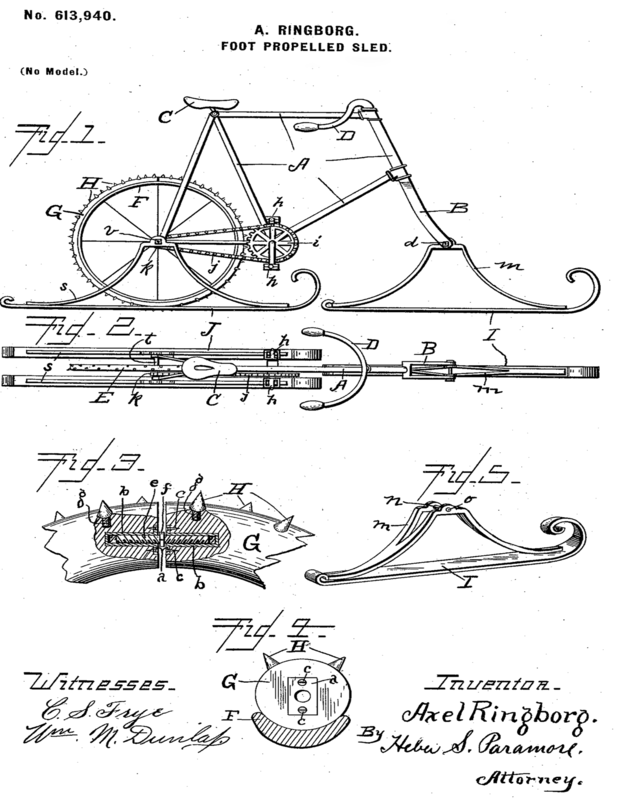 After much consideration and a few trials, Santa decided on the design Albert submitted. It was sleek and quick. There was enough room to carry the toys and for Santa to be comfortable. It was nimble and easy to handle. It was nearly perfect for the time. 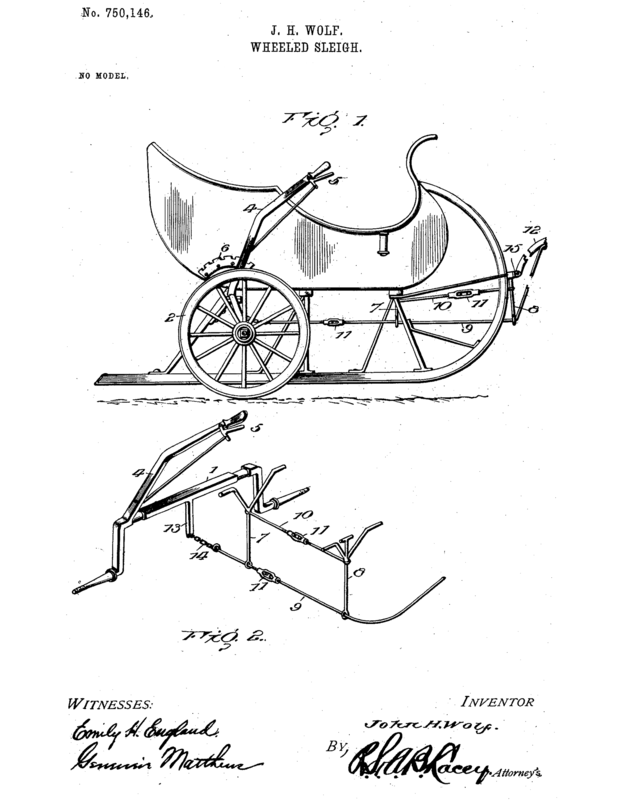 Santa has had many sleighs designed over the years since that first one. Santa keeps all of his old sleighs in the barn where a team of talented elves keeps them in tip-top condition. I can’t even count how many sleighs are in the barn. Santa also has fancy and very decorated sleighs he uses just for parades. Maybe you have seen one of these sleighs and Santa in a parade. We’re getting close to the night when Santa’s new sleigh will be coming to a house near you. Keep spreading Christmas Cheer!